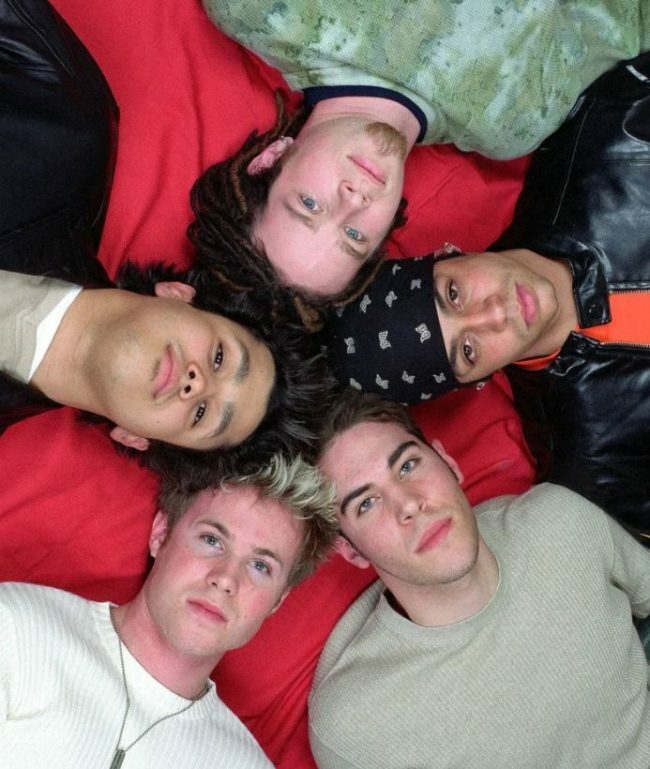 The late 90’s to the early 2000s seems to be the Holy Grail for weird and awkward boyband photo shoots. 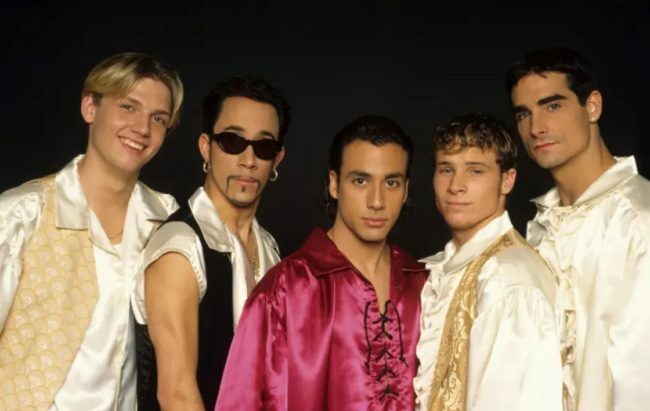 The worst part about it is that we all used to this these guys were hot as teens! Seriously, what is going on here? Why do they look like they are acting like this is totally normal? 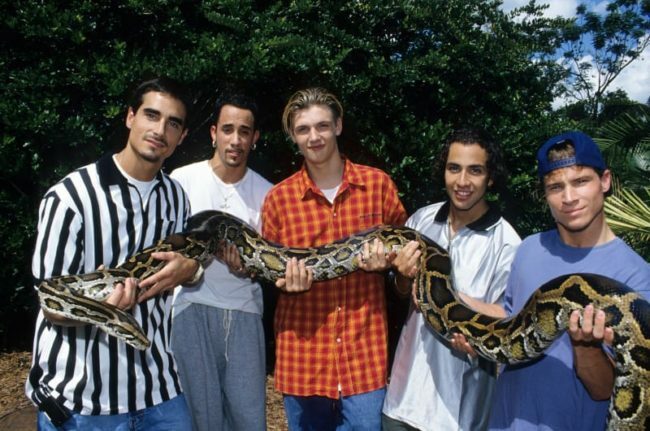 That’s like the biggest snake I’ve ever seen and they are just casually posing with it in the sunshine. Cool. Just why? This looks horrible and wrong on so many levels. 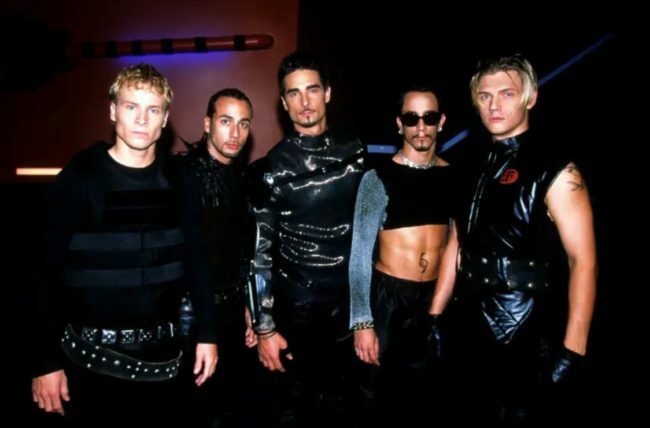 From the disturbing crop tops to the leather and studs, this just doesn’t work. Especially seeing as they are a boyband, not some metal group. The was on set when filming their “All I Have To Give” music video but still. This looks like some weird cult-like water dance. I’m not feeling it. Aww, look how cute they all look! 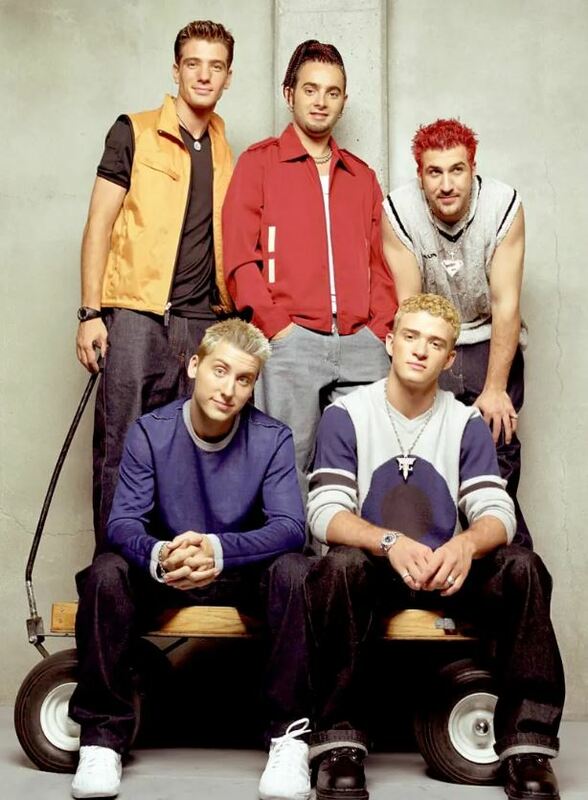 Justin Timberlake is REALLY pulling off that unique hair style, it DEFINITELY doesn’t look like he’s glued cornflakes all over his head. 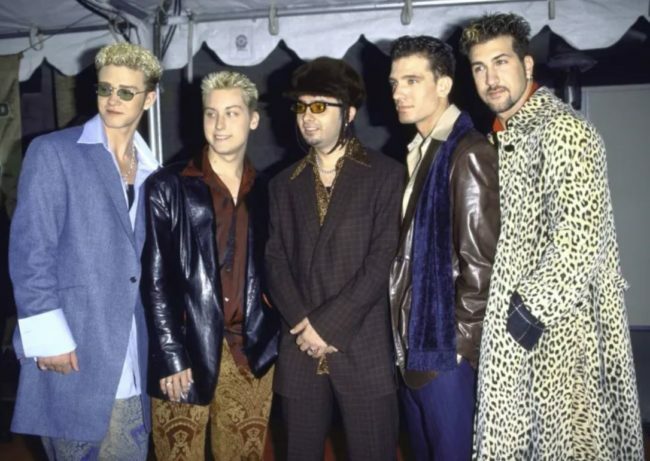 This looks like they all are wearing nasty old couch fabric that they found round their grandma’s house. WHY did they do this?! Did their stylist give this the go ahead?! 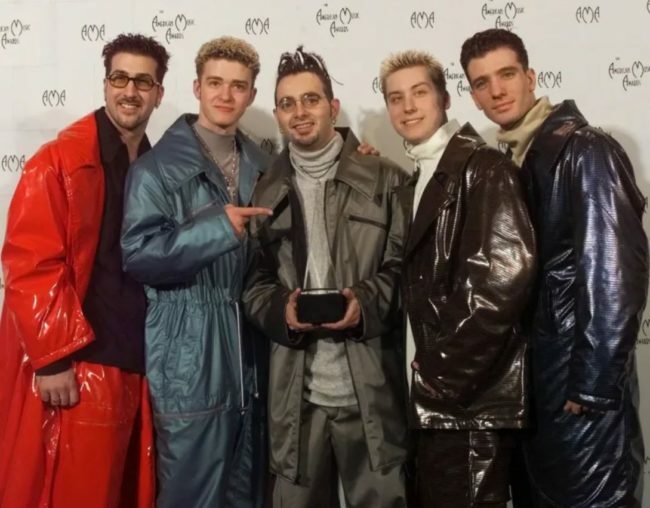 They guy’s are almost as bad as the Backstreet Boys with awful fashion faux pars. Is it really cold or something? Why are they all wearing snow suits? Aaand they’ve struck once more. We’ve got a grandpa suit, long leather coats, weird green jacket thing and a fur vest. There is just so much wrong in one place. It really does look like Justin is being held against his will here. His eyes scream help me whilst his smile is forced. 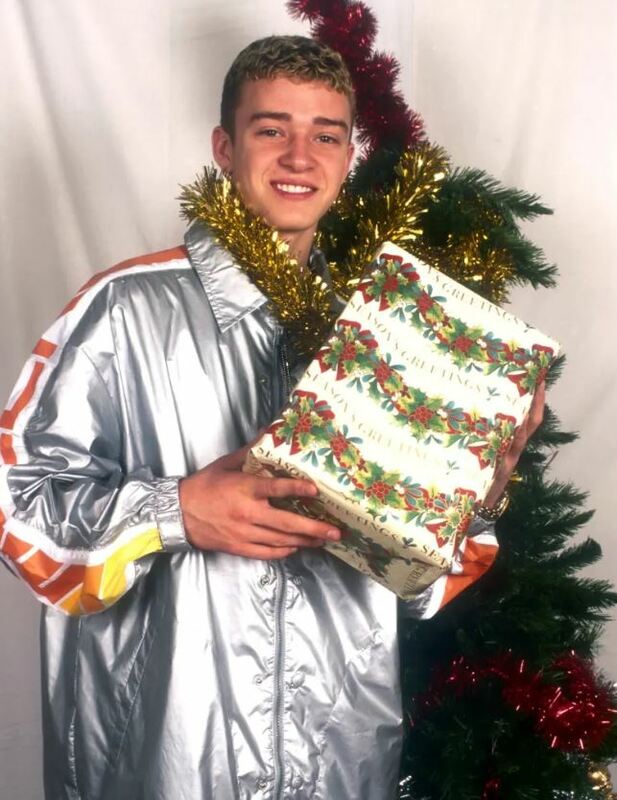 Maybe he too is horrified by his silver jacket. 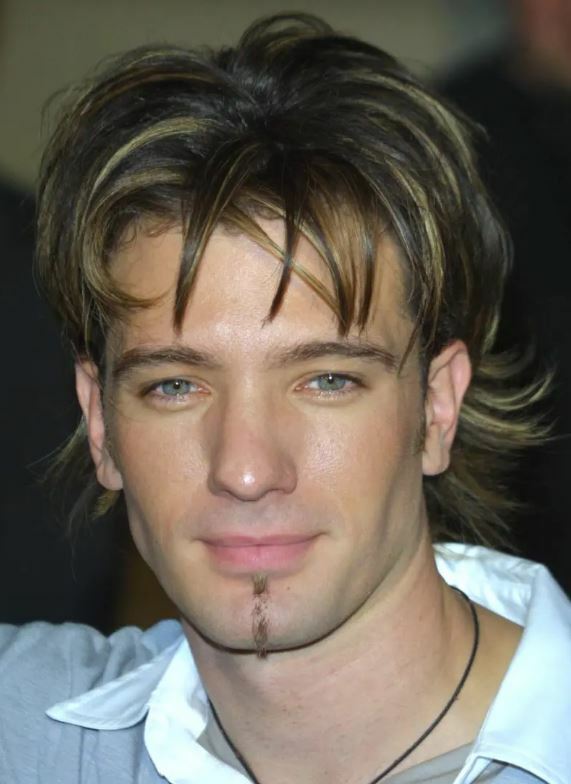 The world didn’t know it until now, but JC was the original inventor of the “can I speak to the manager” haircut. I hope he is proud of the complete and utter CARNAGE he has caused. This look likes a real nice group of boys. 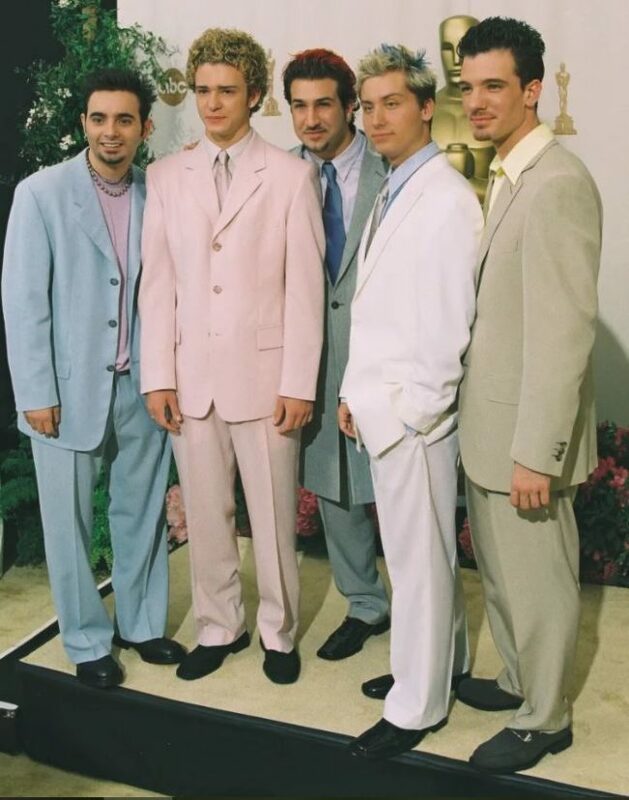 They sure do love white suits though, don’t they? Jeez. Wow. These boys just cannot be tamed. Why did so many girls obsess over these guys?! They look like they are trying their hardest to be as cool as possible. I see right through you with my adult cynicism. Why does it look like they are playing dress up? 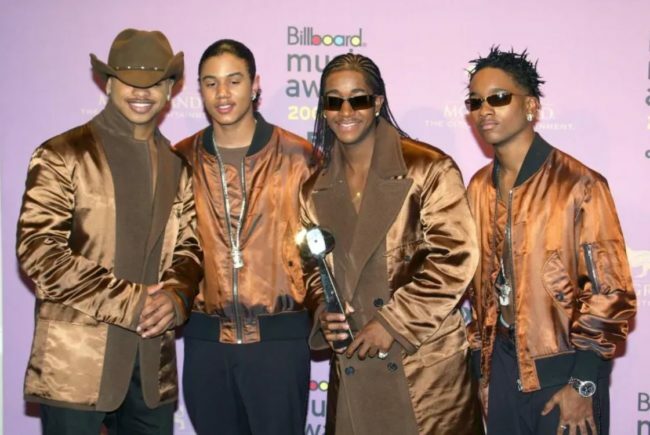 Like they broke into the coat closet and just grabbed the ugliest looking coats they could find, just for the laughs. 16.) Is this a Renaissance fair? They look like the bad boy rebels of the town’s Renaissance fair. Causing drama everywhere they go and getting all the ladies. Taking on the world in their silk shirts. 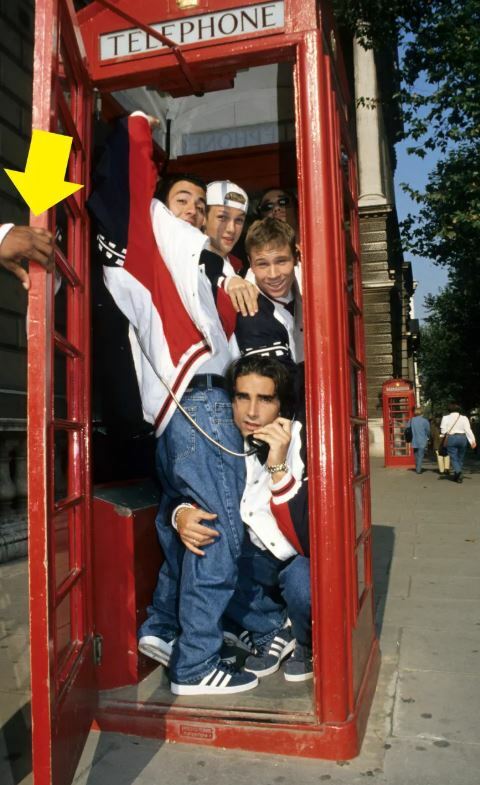 Imagine being that guy that has to hold the phone box door open for a bunch of weird boys. I mean, at least his hand is famous now! Right, who upset Brian?! 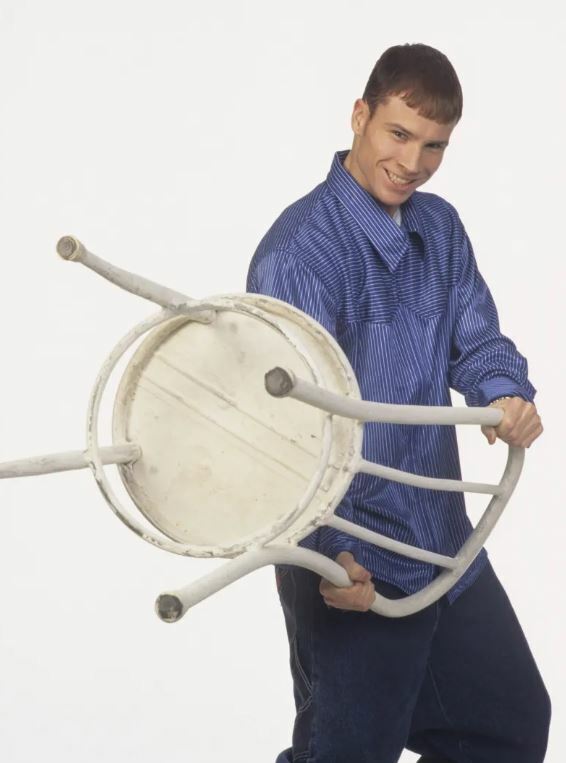 Please just stand back and slowly put the chair down onto the floor. We are all friends here and no one is going to hurt you…the look on his face really is the stuff of nightmares. 19.) What’s with the wagon? 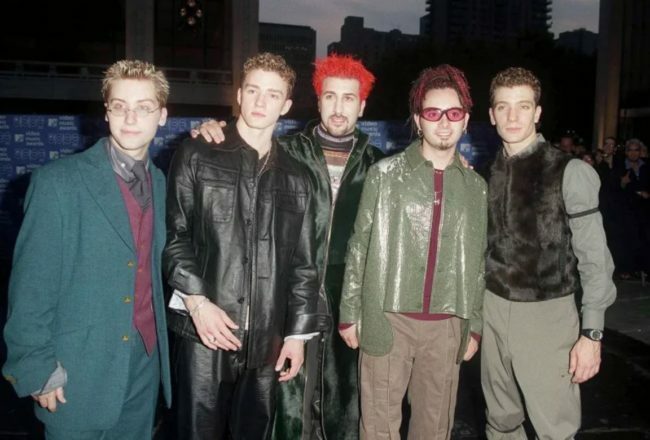 N-Sync just really REALLY want to go on a wagon ride. Why are you taking pictures of them? Take them on the wagon adventure that they have been dreaming of! I really hate how his jeans are wet. Wet jeans are THE most uncomfortable thing of all time. Why didn’t he think of wearing something more practical to the SEASIDE photo shoot where there’s WATER. 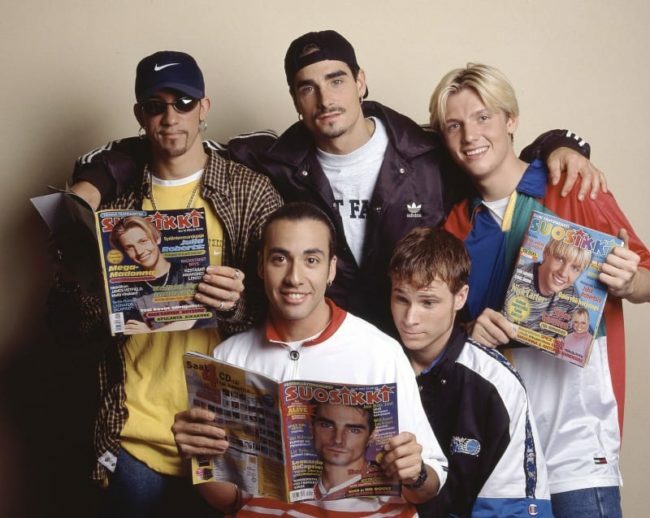 I hope you enjoyed the journey back in time, laughing at all of our favourite boybands from the 90’s/2000’s. 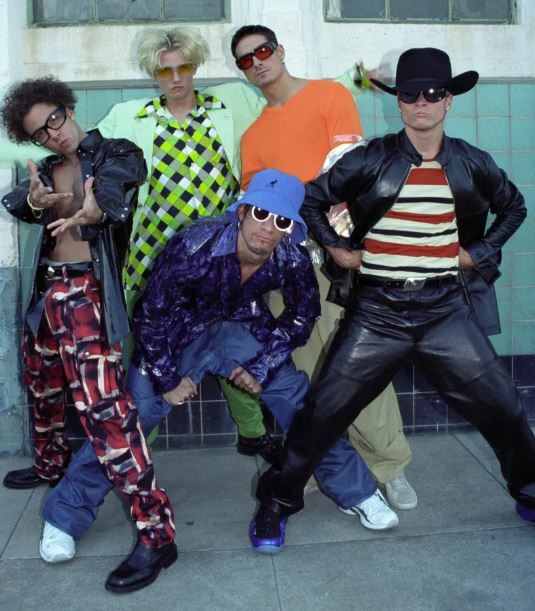 I can’t believe that we used to obsess over these guys, just their fashion sense creeps me out enough. Which boyband was your favourite? Let us know in the comments!